BetonMarkets is a binary options trading platform that powers BetOnMarkets.com, a very different approach to traditional methods of trading binary options. With this unique approach, option traders do not really invest in binary option contracts, but rather place bets on various potential trading outcomes of financial assets. 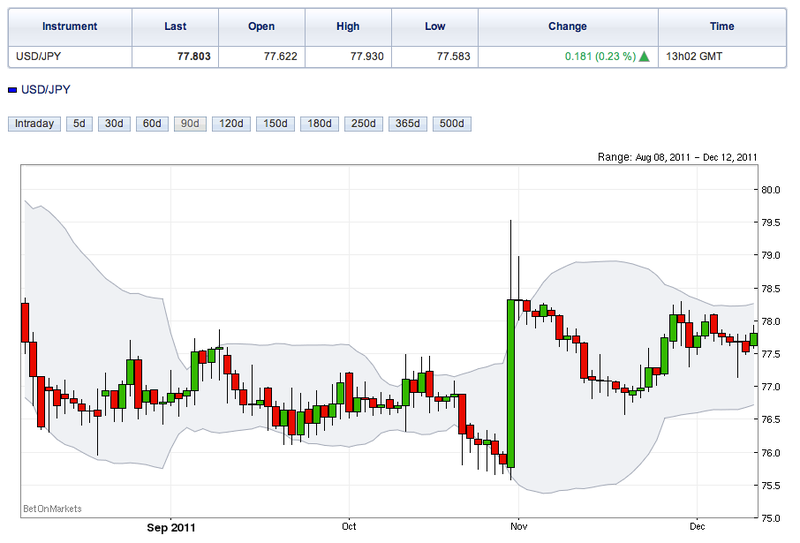 This article will cover how BetOnMarkets.com allows users to trade forex binary options and other types through an innovative approach, and will also cover the platform’s visual appearance, ease of use, and notable features. The first thing that most option traders will notice about the user interface and visual appearance is that neither is anything like what most platforms are. There are five categories at the top: Forex binary options; indices; US stocks; UK stocks; and commodities. Within each category is a trading area that features four methods to trade binary options. These methods will be explained in more detail below. 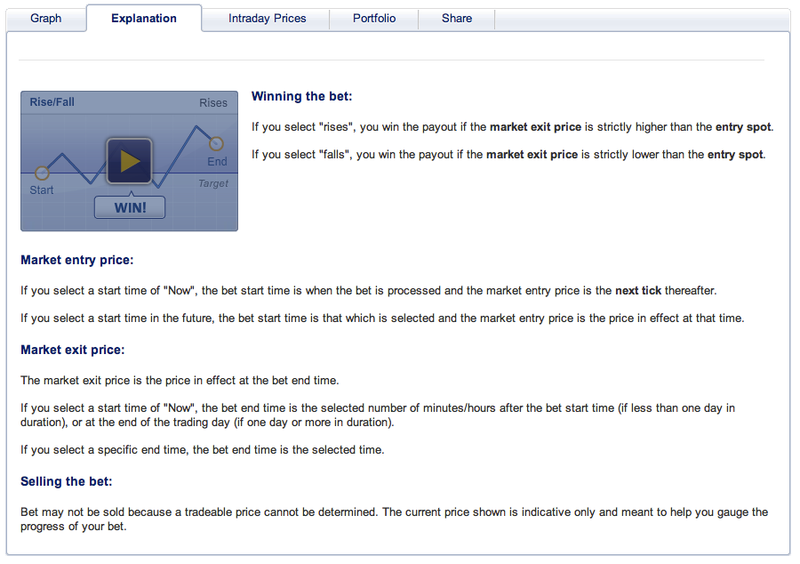 Once the option trader selects a method, he or she assembles a bet on binary options. This is accomplished through pull-down menus that offer two choices for each method, plus a time limit and payout. On the right side of the screen is a window that shows how much each ‘ticket’ (trade) costs to wager. On the bottom, there are also interactive charts and graphs for the trader to study for the binary options being wagered on. This is one of the more difficult binary options trading platforms to use if only because the user has to basically assemble a bet. There is a more sizable learning curve than with other platforms, owing primarily to the unique nature of the gambling-inspired user interface. Once working the binary options platform has been learned, though, placing a trade is no more difficult than other platforms out there. It will take some time for a beginner to learn what each trading method does and how to take advantage of each for maximum profit. Therefore, beginners may want to start somewhere else at first. The most notable feature is the fact that the user constructs his or her own wager, or bet. In this sense, BetonMarkets is less like investing and more like gaming. For example, if someone wants to place a wager in forex binary options, they select a method: Rise/Fall; Higher/Lower; Touch/No Touch; and In/Out. These options are all based on what the asset will do before expiry. Then, they select their own expiry, from 30 seconds to 362 days, and payout. 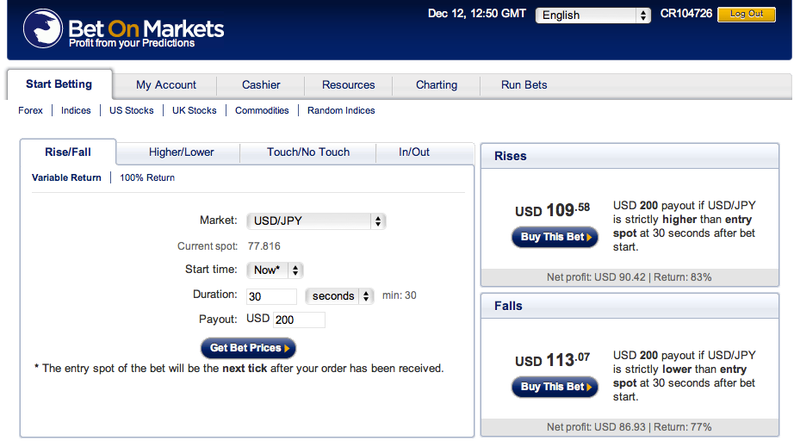 The user prices the bet, and the bet can then be placed by clicking on a button to the right. This is a very unique system that gives unprecedented customization to a user for his or her trades or bets. This platform would benefit from more real-time data, but it is hard to say that the approach is not innovative and intriguing to many traders. Still, the strong resemblance to gambling (some would say they are one in the same) may send some traders to other websites. Click here to go to BetonMarkets.com.